A uniquely coloured variety - buds open as dark burgundy then fade to shades of dusky rose, giving a vintage look. 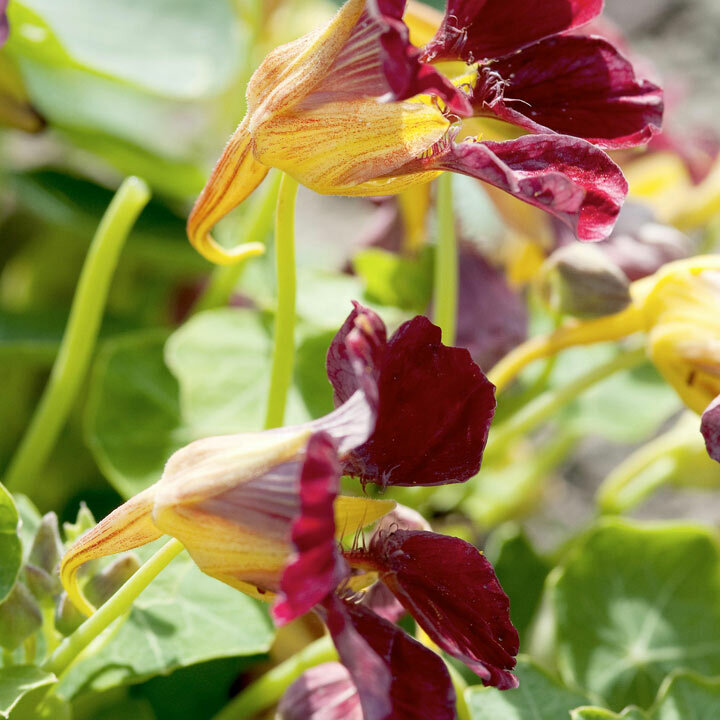 Its trailing habit makes it perfect to use as ground cover or cascading out of a container on a patio or balcony. Height 25cm (10"). Easy to grow plants that will provide a blaze of colour in borders, tubs and baskets. The perfect way to clothe a dry, sunny border. 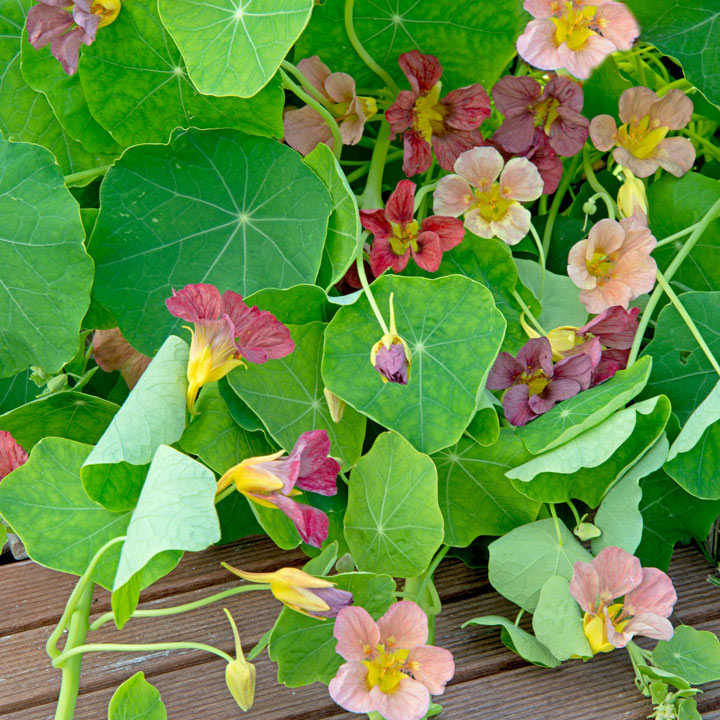 Flowers and leaves are edible and give a peppery flavour to salads. Sow March-June to flower June-September.